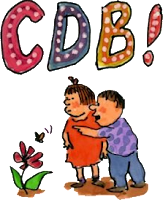 Blaine's Puzzle Blog: NPR Sunday Puzzle (June 12, 2016): C D B? D B S A B Z B! And she (or he, for that matter) might not enjoy this particular compliment as well as others. . . I hope I didn't offend, I chose my words as carefully as I could. No worries, eco. I'd use this mostly for pets and babies. No tips today (haha) but a near homophone for a 'place' in the news this week. We got a copy of Steig's book from my wife's friend, Ruth, as a baby gift when our son was born. I wrote a N-Q note, to "DR √", and signed it "LX&R". I went back and forth between a couple of answers, but I'm pretty sure I have the right one. Agreed, Guv'nor, it can be tough to choose between latex and acrylic. My English teacher didn't want us to read William Steig, preferring William Shakespeare instead. Though he was very old fashioned and Measure for Measure was not included. According to a former master of original punctuation at Shakespeare's Globe Theatre, punctuation (at least the period) is going away. Steig shows that most letters are superfluous. Twitter says 140 characters is all you ever need. Hemingway's shortest novel, updated: For sale, one handbasket, used once. Was it not: "For sale: baby shoes, never worn?" Rearrange its letters? Not me. I have two answers. My hints? 7 and inchworm. Does one of these also relate to last week's puzzle? I know I shouldn't interfere with other people's hints; however, it sometimes seems beyond my power to resist. Hmm, eco, no. One has to do with geology and the other a fun math problem. Then you're in for a pleasant surprise on Thursday. I can hardly wait. . . I'm not really a PC advocate; however, my previous comment involves a 'dyslexic interpretation' pertaining to one of the hints. Definitely more than one possible answer this week. I bet there are several valid answers to this! SD B YY 4 me. SMS slangsters will know this one. I put no stock in rumors, but a fascinating one is that long ago one posters make an unexpected, albeit brief, free fall from his seat in a gasthaus after paying the Serveiererin such a compliment while ordering zwei Humpen. Be careful not to be an xsre to a puzzle solver. Rosie O'Donnell used to rhyme the longest word in the sentence created by the letters. A tip you can use? may B may B not. I am sure I have seen this on one of those can D hearts on valentine's day. I may know a good answer to this, as this is a testament to a good puzzle. Also, regarding John Campanelli, I agree, I bet there are several valid answers to this. I wasn't even done with the podcast when the answer came to me. Seriously. I made it through the podcast and got the answer soon after on my run. I did 5.1 miles. Chocolate milk always good after a mid distance run! Yep, Chocolate Milk is the answer! 7 and inchworm..not so much! My entire morning and afternoon on NPR were pre=empted with the nonstop reporting on Orlando. I repectfully send my thoughts and prayers to everyone involved. I just got back home from attending the vigil downtown that was headed up by the mayor and governor. Lots of people in attendance. I have to take exception to what they have been reporting all day on NPR that this was the largest mass shooting in America. If you ignore the Civil War and Gettysburg, since it was a war, then you still have Mountain Meadows, where the Mormons slaughtered 120 or more members of a wagon train. And all the massacres of indigenous peoples on this land; Wounded Knee being but one (and perhaps the last) of so many. There seems almost no end of miseries that can be recalled in US history. I agree. I almost mentioned Custer, but he deserved what he got for what he did, and I don't consider the Sioux Indians at all to blame for what they did. But Mountain Meadows is an outrage and all but one Mormon got away with it too, including Brigham Young, who was behind it all. You can probably tell; I just love religion. Custer and his men were soldiers, and certainly not innocent in their undoing. The religion of greed on these lands dates back well before the Mormons. I find no one tells the story in a more readable form than Howard Zinn; who points out that Columbus was the first slave master on these shores. And as Charles Mann narrates the African slave trade is largely the fault of those same indigenous people who had the inconvenient tendency to die from European diseases while in captivity. But on the other hand Columbus was an environmentalist. He was known for getting over ten thousand miles per galleon. In the recesses of my mind is a pithy journal entry, it might have been Emerson, along the lines of "I sailed across the ocean in a ship powered by wind and skilled men working in the sun, and returned with men working in the dark shoveling coal into a fire." I'm totally with ya, sdb, on loathing religion. Am currently reading "God is Not Great" by Christopher Hitchens. None of that has anything to do with the fact that I got an answer that works with the pjb's hint above about Rosie O'Donnell. I didn't understand Word Woman's hints. Don't tell Mendo Jim that ship anagrams to hips or he might say, "pish." Don't get me wrong; I am not against spirituality, just religion. I always enjoyed Christopher Hitchens's eloquence, but his denial of anything beyond life here taught me that just having a high IQ and a great education doesn't mean you always think logically. In other words, I think he didn't really think it through. But then I am fortunate in having had several para-normal experiences than cannot be denied, at least by me. I would be MOST interested in hearing about those (paranormal experiences), sdb...are we talking ghosts here? ...moderation, reason, wonder, respect, responsibility... against such there is no law. I heard that Columbus's ships almost had to turn back because of an outbreak of norovirus. Fortunately he was able to keep going after promising free passes on future trips and upgrading the crew to first-class amenities. Actually it was No Row Virus. They were complaining there were not enough Oars (sp?) on board. The H you say! Anyway they sailed on, acquiring Frequent Floater Miles as they went, hoping against all reason they would arrive in time for Columbus Day. No ghosts so far, but my neighbors in the house behind mine had one for many years. I think I may have posted about it here a year or so ago. It would be good to know that Columbus never came to what is now our country. I always like it when these puzzles take me a while so that I have something to think about for the rest of the week, but I think I got this one in about 20 seconds... Good puzzle nonetheless, I love the concept!!! Musical clue: ELP - "From the Beginning"
In 1850, about 15 miles from where I live, soldiers of the US Cavalry, urged on by some of the most ergregious white settler miscreants ever to live, killed over 100 Pomo Indian men, women and children at a place now called Bloody Island. That may have not been the worst massacre just in Norhwest California. Bonus Puzzles: f u r-n 2 b-z; n n-r-g s 2 b c-n. All answers formed from pronounced letters, some liberties taken (a little d-v-s). Well, the NY landmark starts with mπr, I mean, duh? Paul, I haven't an Ö of an idea of how get there, it's all ¥ (and Greek) to me. The 'former First Lady' may pertain to some of the 'off-topic' comments in this week's blog. Yeah, if anybody can solve all of these, I will be. 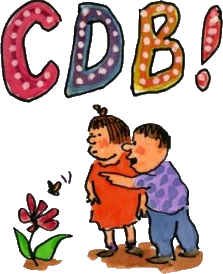 I once saw a yellow-and-black Smart car with license plate "CDB". Reminds me of the French chef. As soon as he became successful, he went to the car dealer and ordered up the fastest sports car he could get, with a custom paint job: a big capital S on both sides, and a broad racing stripe composed of strings of S's, so that when he was speeding along on the highway, people would say, "Wow, look at that ... !" Reminds me of snail mail (snail male?). O, IC (maybe). Sorry, jan.
Jinx, WW, you owe me a beer! Old mother Hubbard's exclamation upon going to the cupboard fits into this category. Sorry, loop, I'm not quite CN it. O, I C U R M T.
Said ND to the state west of it. . . I need some help here with a question. When sheep are giving birth, is it called lambinating? Ewer probably right but, I've got mutton more to say about this until I check with my staff! wool you hurry up and get baaak to me please! When cooking mutton, should you lambaste it? The anti-anagram part of my brain must be less active when I wake up at 2 AM, so some inadvertent rearranging gave me an answer that works. The measurement is the punch line by Hammy, the Calvin-like boy in the Baby Blues daily cartoon. That strip is one of my favorites and that one was several months ago during a shopping trip with his dad for sports equipment. Supposed to have rain near me so I probably won't get a view. I like the Heavens Above site. It includes more details, including the brightness, a sky map, the ground track, and data on other satellites, planets, comets, etc. It's usefulness is limited to about a 3 hour window, though. That resupply craft is being used for a study on fire safety. Looks like they will set something small inside of it on fire today and study what happens. This is after it has seperated from the ISS. Speaking of fires in space stations and 2-vehicle sightings, I once caught a Shuttle-Mir pair (no flames showing). I used my PC instead of this cell phone to Heavensabove and it sync'd right in! I had never heard of, much less seen an iridium flare, that would be pretty cool! I am looking forward to the total eclipse next summer. We are going to be within 20 miles of its totality, so it ought to be good. Once you get your accurate-as-possible coordinates entered, the information will be spot on. The site has remembered mine for years. When you do get the hang of it try for some irridium flares; the timing and location are so precise that you can't really share them with friends even a short distance away. I won't get tonight's ISS pass in California until 11:30, but the double vehicle ones are worth looking for. I've never tried to spot an Iridium flare. Have you seen one at night or in daylight? How long does it last? In some areas you only get one r in your iridium. jan: I haven't looked for one in years and I was going to answer "daytime" for viewing and seconds for duration. My chart for the next week, however, shows only nighttime passes. They are artificial satellites in somewhat higher orbit than the ISS, which means visibility longer before and after sunrise/sunset, but I don't remember seeing them at 23:30 and 03:30. I'll try and figure out why there are not any of the midday passes I remember. The site gives when and where to look, details of each pass and details of each Iridiaum satellite. In this week's NYT crossword puzzle, there is both a "Gere" and an "Uber" as answers. The marketing cow shares the name with a member of the Steel Curtain. Did somebody up north really build a Spruce Loon? QUART > U R A Q T = You are a cutie. "7" refers to the hardness of QUARTz on Mohs Hardness Scale. "Inchworm" refers to the classical math problem where an inchworm eats through a series of books (QUARTO sized ;-)) from page 1 of volume 1 to the last page of the final volume. The trick to solving the problem of how many inches the worm eats through is envisioning where page 1 sits on the shelf. "Naval Academy" refers to naval oranges which are close to tangerines and are now branded as CUTIES! With your penchant for children's literature I thought you were referring to Cutie and Inch Worm and their friend Tiffany. Ah, eco, now I see the delightful connection to last week's puzzle and Richard Tiffany Gere. I'd not heard of "Cutie and Inch Worm" before. Cubit – I C B U T – I see beauty. Last Sunday I said my clue was 300. God told Noah to make his ark 300 cubits long. That's really good. Never thought of it. A very legit alternative answer, Chuck. WIll Shortz should accept it and mention it on-air. Ohms measure resistance. 'Mohs' is a 'dyslexic interpretation' of 'ohms'. Is that PC? Anyway, 'advocate' is synonymous with 'exponent', which is what designates the 'power' of a number or variable. Your PC (along with it's kinfolk) likes powers of 2, such as 4 (which is what 2 and 2 are), 8 (which is what 4 and 4 are), you get the picture. The 'smart' car (they tell me it's supposed to be written all lower case) apparently comes in two models, 'fortwo' and 'forfour'. Isn't that just darling? * If it's painted yellow and black, it probably does look like a bee, and I didn't know the S-car-go joke was from 'Trading Places', honest, I heard it elsewhere, probably the same place I first heard that melody from 'Sebastian'. In fact, I'm almost sure of it. One could argue that's a sentence. A predicate nominative with implied subject and verb, maybe. Or maybe you just want to call your horse. Whatever. It sounds like bee-you-tea, which spells 'but', but 'but' is not a 'dyslexic interpretation of 'but', it's just BUT; HOWEVER, a BTU is a unit of 'work' (not 'power', power = work / time). 100,000 BTU = 1 therm, but I don't know what 16 or 32 or 64 BTU are, and there should be names for them, because, after all, they're British! Thus, we have an alternative answer, and that's the flaw I found in this puzzle. Really, I just wanted an excuse to use 'however' in the middle of an idea. Did FFL Hillary Clinton really talk to FFL LNR Roosevelt? Never accept a $50 bill with a picture of ODCS on it. Or a pound note with a likeness of LRE Queen. NEL = Annie Hall? I really hope I'm wrong. LC, aka Mrs. Elmer, for sure. And I'm envious of anyone who got the rest. *I see they also make a 'coupe' and a 'cabrio'. Excuuuuse me! > I find something is missing in action videos these days. The rapper M.I.A. has a song called U.R.A.Q.T..
"Be careful what you say, Paul; Will Shortz might sue you!" -- Or take you to COURT (sounds like QUART). "Agreed, Guv'nor, it can be tough to choose between latex and acrylic." -- Latex and acrylic are two paints, which in my Comical Cockney accent sounds like "two pints" = QUART. "you might lead her (liter) on...." a liter is close to a quart, since we're never going to join those Euro-weenies (and the rest of the world) in a rational measurement system. "he was very old fashioned and Measure for Measure was not included" "He" refers to Shakespeare (not my English teacher - a bit deceiving but grammatically correct), and the earliest versions of his plays were "fashioned" in quarto, 4 pages printed on each side of a broadsheet, then double folded and cut. Measure for Measure was a later play, not included in the earliest printings. My alternate answer is OUNCE / O-U-C-N-E / Oh, you see any? largest number: A-T (I later realized it's the only number that fits the bill, unless you stretch A-T-N). person from a certain geographical region: R-A-B-N I wish I had rephrased with the "C". person from another country (moderately loose): B-L-R-U-C-N - Olga Korbutt was very loose. Marc Chagall, Irving Berlin, and Isaac Asimov could imagine that working. national capital (a little loose): V-N-T-N, capital of Laos. Why am I intrigued and frightened that Google street view has covered the entire city? entertaining job: M-C (withdrawn after I remembered emcee is merely the shorthand for Master of Ceremonies. first and last name of a well-known entertainer (pretty loose): L-N D-J-N-R-S - I am simultaneously proud and ashamed of that one. Hard to find 6 syllable names that work. ancient mythological hero (slightly loose): O-D-C-S, Paul's clue about (Ulysses) "grant" was excellent. What others will be of the person who solves all these puzzles: N-V-S Take THAT, Steig! water feature: R-T-Z-N, trusting our resident geologist WW got that one. Newspaper name in at least 2 major cities (it's not the Times-Picayune): X-M-N-R - both San Francisco and DC have that as newspapers. one of several catchphrases of well-known 1950's TV character: R-D-R-R, one of many gems from Ralph Cramden on The Honeymooners. character's wife: L-S, no hate mail, I know I used it for Ellis. Simpson's character (a bit loose): R-T Z-F, Artie Ziff, Marge's prom date and later tech geek billionaire. marketing cow: L-C, you're probably Borden this by now. Elsie was used for dairy products as well as Elmer's glue. I thought your First Lady was L-R-E Clinton. tempting, but I felt better using it for a different queen. CUBIT - My clue was "I may 'know a' possible answer" and "a 'testament' to a good puzzle". Actually, I wonder what the intended answer was supposed to be? Too many possible answers on this one. When irrepressible Hammie of the Baby Blues comic strip was shopping with his dad for Little League supplies, the next item on the list was a cup. "What do I need a cup for?" asks Hammie. "Uh, well. It is to protect a very important part of you." "Well, in that case, maybe we should get a quart." Iridium flares are seen late at night and early in the morning at northern latitudes near the Summer Solstice. I agree, MJ, Baby Blues is a great comic strip; I read it almost every day. I don't recall the episode you cite. Hammie clearly knows what to think with. I was checking out upcoming Iridium flares in my area on the Heavens Above site, looking at the short ground tracks, and wondered: has anyone ever photographed a flare from space, showing a bright dot moving fast over the earth's surface (or cloud cover) from above? I just got in from running my errands, but wanted to add my two cents. I grew up reading Asimov's robot stories. What shocked me was to realize that this one was published seven years before I was born. For any Blainiacs who haven't sampled them, I highly recommend Asimov's robot stories. They were way ahead of their time and great fun. The three laws of robotics, and how he worked around them would make any puzzle master proud. The Robin Williams movie, "I Robot", though fun, did not do justice to the original stories. CUBIT (about 18 inches)>>>>ICBUT = I see beauty. Or BUTIC = Beauty, I see. UNIT CUBE>>>ICBUTENU = I see beauty in you. I have been out of town this last week on holiday. And thinking outside the hypercube, as usual. My clue was about Rosie O'Donnell using a made-up rhyme of the longest word in the sentence. Rosie used to use the phrase(and possibly even coined it)"cutie patootie". I was at a jewelry store once and some guy asked to see a cubit zirconia and they brought one out in a wheel barrel! If you can wait till early tomorrow (Friday) morning, Puzzleria! will serve up eight puzzles! Our featured “entrée” is an anagram-free offering from skydiveboy – a “topographical” puzzle that involves sly wordplay and requires a sky-high supply of wits. Also on our menus are three puzzles that “Rip Off Shortz’s” cutie/beauty puzzle. In one of them a young LegoLambda misspells an easy word in the final round of the Scripps National Spelling Bee. Plus, four more fun puzzles! That's right; another of my puzzle creations this week over at Puzzleria! I seriously doubt anyone will be able to top this one. My clue - No tips today (haha) but a near homophone for a 'place' in the news this week - tips was referring to Q-tips and the place in the news this week is a basketball "court" for Lebron and Steph. Little emerald men from the crimson planet? In grade school - I N V U 4 U R A Q T was a way to flirt in code. Next week's challenge from listener Mark Isaak of Sunnyvale, Calif.: Think of a word that means "unfinished." Add one letter at the start and one letter at the end, and you'll get a new word that means the opposite of the first. What words are these? Ironically, this one's kind of difficult. I don't think my comment telegraphs the answer. Don't let them fence me in!